Hello! 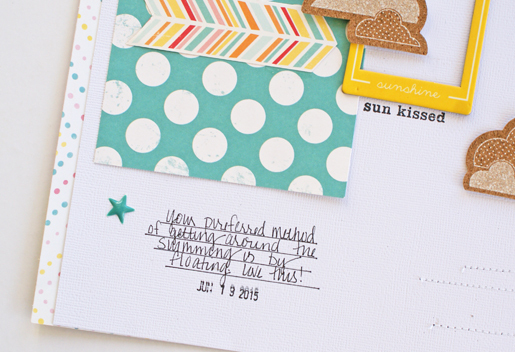 Michelle here, starting us off on this last week of July with a new layout using the July Kits! Today I am sharing a project featuring both a new fave photo and a new fave color combo. Lately I have found myself gravitating towards the color combination of aqua/turquoise and yellow. These last few weeks, these colors have been front and foremost in my mind and my pile of layouts can attest to this. Lucky for me, the July Kits are full of these colors! 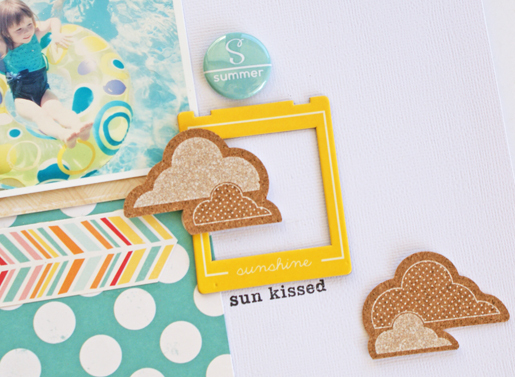 The polka dot paper, yellow frame, and clouds are a match made in summer! What colors are you loving right now? Are you super specific like me or are you all over of the rainbow? Whatever your colors of the moment, make sure and share your projects in our Member Forum on Facebook--I'd love to see them!